A Dublin based trio of female filmmakers are gearing up for the final round of the Female Film Force competition. 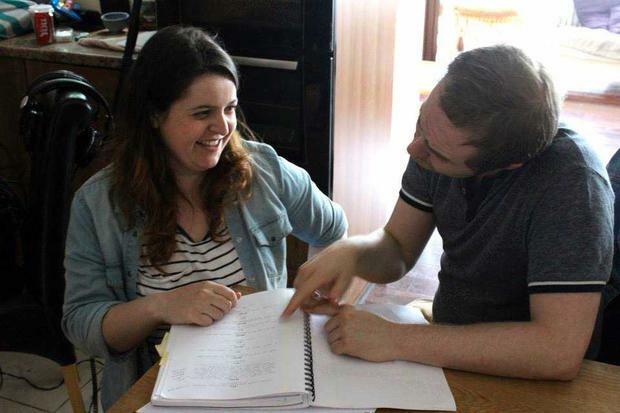 Writer Emma Wall, from Wicklow but living in Dublin, has made the shortlist of the competition, beating 1100 other hopefuls to make the final 10 with her script about an elderly lady living in Dingle in the 70s. 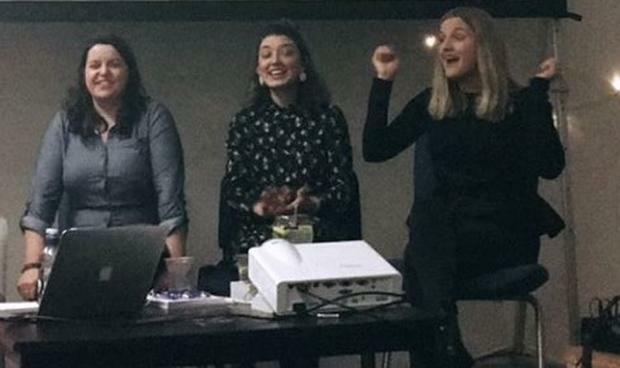 Now Emma, and her team - director Claire Byrne and producer Jo Halpin, also of Alfonso Films - are hoping to win one of five grants of £20,000 to make a short film which would then be showcased alongside the other four winners at an industry event in January. The competition was launched by dating app Bumble with the aim of promoting female talent in the film industry and highlighting the 'shocking gender imbalance' that currently exists. It's a hugely exciting opportunity for the three Irish twenty-somethings who have just one short film, Spent, already under their belt. "To be in the final ten is fab - it makes me feel like I'm not deluded," says Emma. "It's all mad and fantastic and we're so chuffed to be at this point - the team can't quite believe it." Emma's aforementioned script revolves around an elderly widow whose son has emigrated from Dingle to New York in the 70s. She keeps in touch with him via the only phone box in the village which he calls at the same time every day. She always forgets to answer so the locals have to fetch her. Emma says it's about "connections and how people used to communicate" and is based on a story her parents told her around the dinner table one night. "They were in a long distance relationship - my dad had a pub in Arklow and my mam was in Amsterdam and one time my mam got drunk with one of her gal pals and decided to ring the phone in the town, the local phone on the main street," she explains. "A man answered and fetched dad from the pub. They would do that all the time. The phone would swing off the hook and everyone would know you couldn’t make a call because it was engaged. Sometimes people waited for ages for someone else to pick up. And they would always stay on the other line - they would never hang up on each other." Emma has been writing since she was very young. Graduating in Communications from DCU led her down the path of radio. She teamed up with a friend who was a radio producer to apply for funding to make a six part radio drama based on a book she had started writing in transition year. They received funding from the BAI and it aired on Beat FM and they were nominated for a PPI award. She then moved to London and worked in casting before returning to Dublin two and a half years ago when she teamed up with Claire and Jo to form Alfonso films. "Our whole point is to support each other in making projects and making work," she says. "We all bail in in various different capacities. Someone will put a script on the table and it’s about supporting each other in whatever capacity makes the project come to life, and putting ourselves out there and concentrating on the doing, entering for funding together." She feels the time is right now to strive for the next level, "I think I know my style and I know what I’m doing. For me, as a writer, to know which way I wanted to go with things, to get confidence in it, to feel like I’m not deluded and writing mad things, working with the girls made me realise I wasn’t and that we could definitely achieve something wonderful." The Bumble Presents: The Female Film Force initiative was born out of the gender imbalance in the film industry - at the BAFTA Film Awards 2018 only 20 per cent of the winners were female. At this year’s Oscars only 15 per cent of recipients were women. Ireland's IFTAs fared quite a bit better this year with women receiving 40 percent of awards. "This scheme is such an incredible initiative and the empowerment behind it... we’re an all-female team of producer, writer and director so to be a part of something like this, and with Bumble’s core values, is just incredible. It’s what we stand for and believe in," says Emma. "The thing is, women are ready and able to be invested in. Women are capable. For people to kind of of realise the statistics and how imbalanced it is is good. Bumble and various other bodies are making that clear in statistics and their work is so important to get the tables to turn. All the Hollywood sagas going on are helping as well. They’re making people see that women have been at an unfair disadvantage for so many years." Even so, Emma feels like she's emerging on the scene and into the industry "at the right time". "I’m in my late 20s. If I was in my late 30s or upwards I might be telling you a different story. It’s very exciting. It’s time everything changed." Emma and her team will pitch their short film to a panel of judges including broadcaster Edith Bowman and actresses Ophelia Lovibond and Georgina Campbell in London on Saturday and will find out in August whether or not they have made the final five. If they do, they'll receive £20,000 to make their short film. "I'm nervous to pitch ourselves in a way, because the story is all there and all written, so it's just about coming up with pitching it the right way to make them see we're ready and capable and that for us it's the right time."